If you are looking for a good Gopro gimbal, you are sure that you’ll be pleased with the Gopro Karma Grip and the Feiyu G5. Indeed, they are both very good and perfectly do the job for which they’ve been created. Yet, there are many differences between these two even though they end up with the same average grade of 8.8/10. Discover our Gopro Karma Grip vs Feiyu G5 comparison. There are many very interesting battles on the handheld gimbal market. Among them, the Gopro Karma Grip vs Feiyu G5 comparison is very interesting. Indeed, they are both very similar and very different. As a matter of fact, we’ll manage to find some differences between them in almost all our criteria. Yet, they end up with the same average in our in-depth review. Therefore, it is very interesting to look into details to what makes this fights so interesting. Let’s now start our Gopro Karma Grip vs Feiyu G5 comparison. First criterion of our Gopro Karma Grip vs Feiyu G5 comparison is the battery life. On this point, there is a terrible gap between our two competitors. Indeed, the first one only offers a battery life of 1h40 minutes… On the other side, the Feiyu G5 offers up to 8 hours of battery life and will enable you to recharge your Gopro while in use. This is something we really enjoyed during our in-depth review and we truly thank FeiyuTech for that. Without any doubt, the first point of our Gopro Karma Grip vs Feiyu G5 comparison goes to the second. 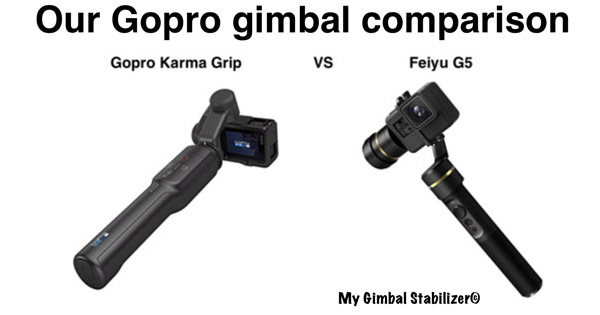 As always, our second section of our Gopro Karma Grip vs Feiyu G5 comparison is about the quality and reliability of these two gimbal stabilizers. 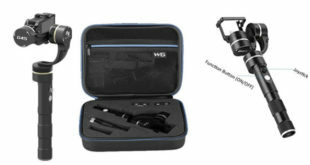 On this criteria, we can only like the very very good quality and reliability of the Gopro stabilizer. Indeed, the Karma Grip is really impressive as far as this is concerned. It is very robust and you’ll be very confident with it. It will never break. We graded it with a 9.5/10 in our Gopro Karma Grip review, and this is not at random. The Feiyu G5 offers a good quality and reliability, but it is nothing compared to the Karma Grip. Indeed, it had a few weaknesses that we presented during our Feiyu G5 review that you’ll never have with the Karma Grip. Therefore, the second point of our Gopro Karma Grip vs Feiyu G5 comparison goes to the first without any hesitation. Once again, our Gopro Karma Grip vs Feiyu G5 comparison goes into one very important criterion. Indeed, the quality of the stabilization is something almost every user will care about. As you can see in our Gopro Karma Grip review, this is really one of its strengths ! Indeed, we graded it with an excellent 9.5/10 because it is just insane ! In fact, it is the second best stabilizer we have tried, just 0,1 point behind the Removu S1. You can be sure that you’ll be very satisfied with its stabilization. The Feiyu G5 has a good stabilization, but, one more time, it is nothing compared to the Karma Grip’s stabilization. In the end, the point of our Gopro Karma Grip vs Feiyu G5 comparison goes the the American gimbal. As far as the functions are concerned, as you’ll see, it is going to be very hard to find a winner in our Gopro Karma Grip vs Feiyu G5 comparison. Indeed, they both have some significant advantages. On one side, with the Karma Grip, you’ll be able to separate the grip and the stabilizer. This will enable you to fix your stabilizer wherever you want…as long as it’s within a range of 35 inches…the length of the Gopro Karma Grip extension cable. Note that it is not included in the pack and that you’ll have to buy it at 129$… The Feiyu G5, on the other hand, does not enable you to separate the two parts, unfortunately. But, it offers a very very interesting function. 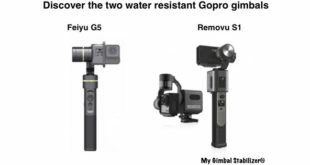 Indeed, this is one of the two Gopro gimbals which is water resistant (the other one is the Removu S1). Therefore, you’ll be able to use it under heavy rain or snow. This is very very interesting according to us and we truly enjoyed it during our Feiyu G5 in-depth review. We tested it under the snow, and it worked perfectly. Our Gopro Karma Grip vs Feiyu G5 comparison is quite difficult in this section. Because the Gopro Karma Grip extension cable is too expensive according to us, we will give the point to the Feiyu G5. This 5th criterion of our Gopro Karma Grip vs Feiyu G5 comparison is pretty interesting. Indeed, as you’ll see, there is a significant difference between the two. The Karma Grip has really been designed to work perfectly with ITS camera. Therefore, everything works very easily and very well. The 4 buttons on the grip will enable you to have a perfect control on your gimbal and we truly enjoyed that during our review. Its opponent, the Feiyu G5, is really simple to use, we have to admit that. Yet, it is not as convenient than the Karma Grip. Indeed, you won’t be able to switch ON/OFF videos directly from your grip, for instance. Even if it works great, it is not as good as what the Karma Grip has to offer. Therefore, this point of our Gopro Karma Grip vs Feiyu G5 comparison goes to the first. As you can see in our Feiyu G5 review, this is a very good Gopro gimbal. Still, today, it is no match for the Gopro Karma Grip. Indeed, its opponent seems to have some significant advantages on quite a few criteria. Obviously, if you want a good battery life and to use your gimbal under water, you can go for the Feiyu G5 without any hesitation. But, if you don’t care about the Splash Proof and if you are ready to buy a few more batteries, then, the Gopro Karma Grip is certainly better. As you can see, we didn’t talk about the price of these two gimbals in our Gopro Karma Grip vs Feiyu G5 comparison. 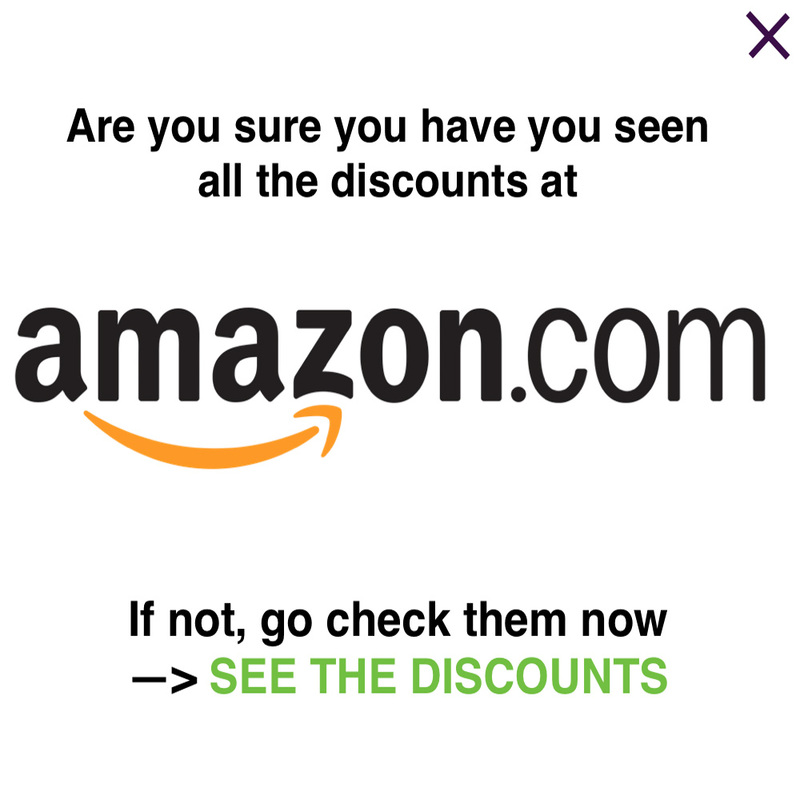 This is due to the fact that the difference is not significant. Indeed, the first one will be 299$ whereas the second is 279$ (date : 12th of May 2017). In the end, both are still very good Gopro gimbals and we are 100% sure that you’ll really enjoy them. Try them, and you’ll adopt them. According to what is really important to you, the one, or the other, could be a better match. We truly hope that this Gopro Karma Grip vs Feiyu G5 comparison has been helpful and we thank you for your visit. 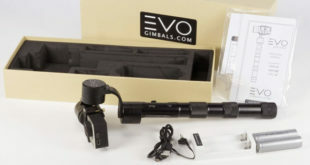 Previous The EVO GP PRO Gopro Gimbal : simple but efficient ! When it arrives I will do an involved shoot out against my EVO and the GoPro Karma Grip.